The Voice Kids Philippines Season 3 Battle Rounds returns tonight, Saturday, August 6, 2016 on ABS-CBN. 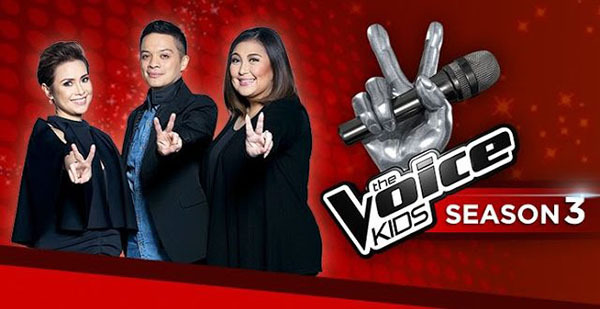 The Battle Rounds continue tonight on ABS-CBN’s hit singing competition The Voice Kids Philippines Season 3. In the Battles, the coaches pits three artists to take a song on stage. The judges will then decide after the performance who will he/she take to Sing offs round — the other two will be eliminated. A total of 8 singers in each team will move on the next round of the competition and the rest will be eliminated. Keep locked on this page, results and performance video will be posted below one uploaded online.